Federal Government Releases Radon Study Results! The Federal Agency for Toxic Substances & Disease Registry has released findings from ongoing research into Radon levels in homes, but what does that mean for our area? On July 22, 2014, the Federal Agency for Toxic Substances & Disease Registry released the results of an ongoing study being conducted to determine the cause of an unusually high number of local residents diagnosed with a rare form of blood cancer called Polycythemia Vera (PV). While the research is ongoing, this initial report shows that some homes in Carbon, Luzerne, and Schuylkill counties have elevated levels of Radon gas in indoor air and Radium in soils. Researchers, at this early point in the research, were unable to determine if the cases of Polycythemia Vera in people living in the counties is related to exposure to the Radon Gas. Other counties in our service area were not part of this particular study. At the request of ATSDR, the Pennsylvania Department of Environmental Protection collected and analyzed environmental samples within the tri-county area and ATSDR evaluated the possible health effects of exposure to the Radon and Radium in the samples. 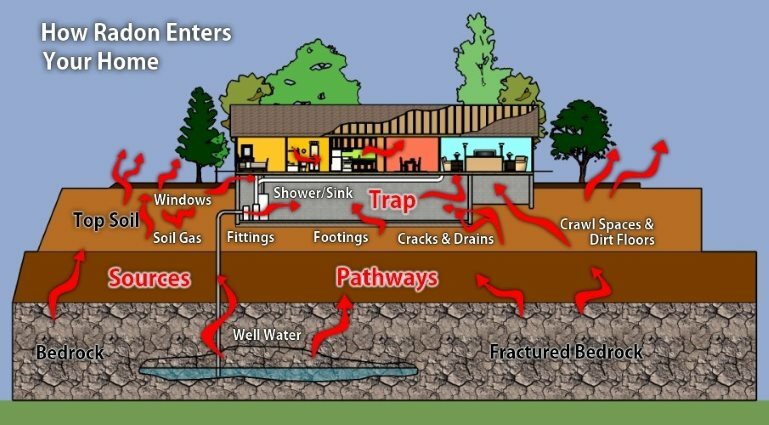 • Some houses in the study area had elevated levels of Radon gas in indoor air. Radon gas was also found in the private well water of some homes. • Soils from the study area had slightly elevated levels of Radium. • Without additional information, ATSDR cannot determine if the cluster of cases of PV disease in the tri-county area is related to the radiological exposures observed in the environmental sampling information. • All residents in the study area should have their homes tested for Radon gas. Houses with elevated Radon levels should be addressed and the Radon level reduced to an acceptable level. • People in homes with high levels of Radon in their drinking water should contact the PADEP Radon Program for assistance. Home water supplies can be treated to reduce Radon levels. Should you have higher than acceptable Radon levels in your home or rental property, please feel free to Contact Our Offices! Disaster Blaster is proud to be licensed by the State of Pennsylvania as a Radon Mitigation Professional (License #:2848 ) and is happy to assist you in reducing the Radon level in your home.